HAPPY FATHER’S DAY, DADS! by Jim Corbran, Automotive Columnist (The following is a public service to all Dads out there, from one Dad to another!) I know it’s early for Father’s Day, but Ford has just announced that it has started taking orders for the all-new Fort GT supercar. Keep in mind that the Blue Oval is only planning on building 500 of these things over the next two years, so waste no time! The new GT is expected to have a starting price in the mid $400,000s, and you know at that price they’ll be scarfed-up by both collectors, and speculators hoping to make a killing in the resale market. It’s engine, which sounds pretty paltry at a mere 3.5L, does manage to put out over 600 hp. Aerodynamics are world-class and ready to take on the heavy hitters at the 24 Heures du Mans — known in this part of the world as the 24 Hours of Le Mans, an endurance race held annually since 1923 in France, won 50 years ago by the original version of the Ford GT. 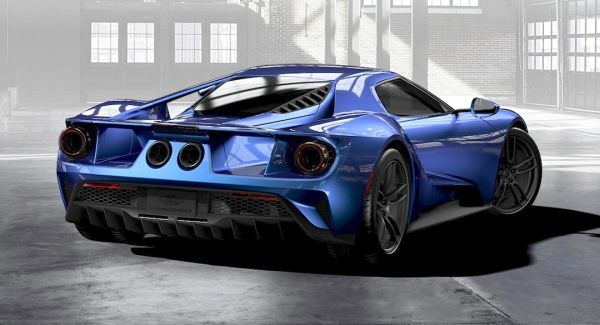 GT Configurator: Liquid blue Ford GT rear three quarter More info? Visit the Ford GT web page (and build your own) here. ### The post HAPPY FATHER’S DAY, DADS! appeared first on Buffalo Cars.